After going bankrupt, Blockbuster's been approved to spend a lot of money on an ad campaign that will hopefully drive customers back to its dwindling number of stores. It wasn't that long ago that Blockbuster declared bankruptcy thanks to its roughly $1 billion of debt. Now, the company is attempting to bounce back from it financial hardships with its first advertising campaign in three years, as well as some other endeavors that will (hopefully) reduce costs and increase revenue. The company has received permission from a federal judge to spend $15-20 million on marketing (this has apparently been funded by third-party lenders). As a result, Blockbuster will launch a campaign that will focus on how it gets certain movies up to 28 days before Netflix and Redbox, thanks to movie studios' frustration with these rental groups' low pricing. 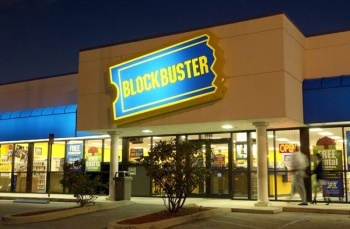 On top of this, Blockbuster is planning to close up to 800 of its 3425 stores across the United States. Whether or not this aggressive new plan will work remains to be seen. The company still faces some extremely tough competition from services like Netflix and Redbox, though the fact that it offers games as part of its mail-rental service can't hurt its chances. In the meantime, get ready to see a lot more Blockbuster advertising this December.